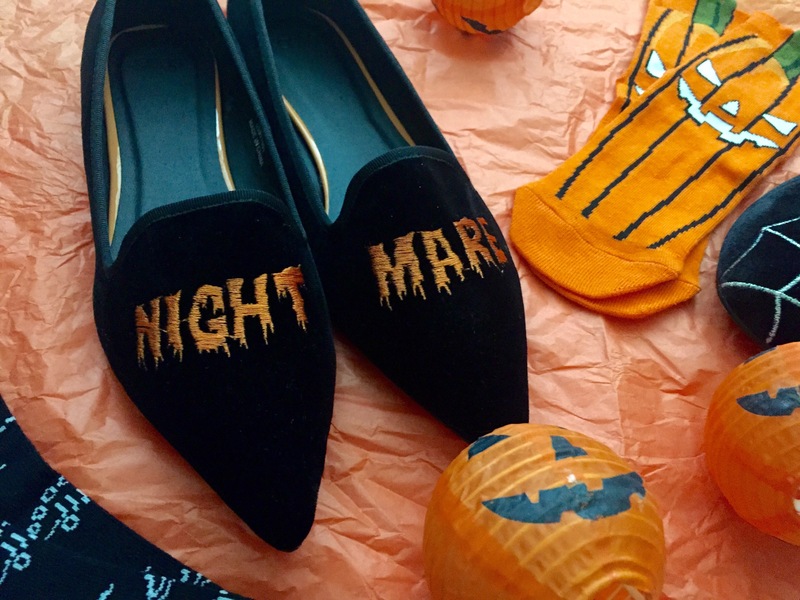 That’s a fact, it’s a thing we can’t deny, like that fact that I will love Halloween (and ASOS) til I die. 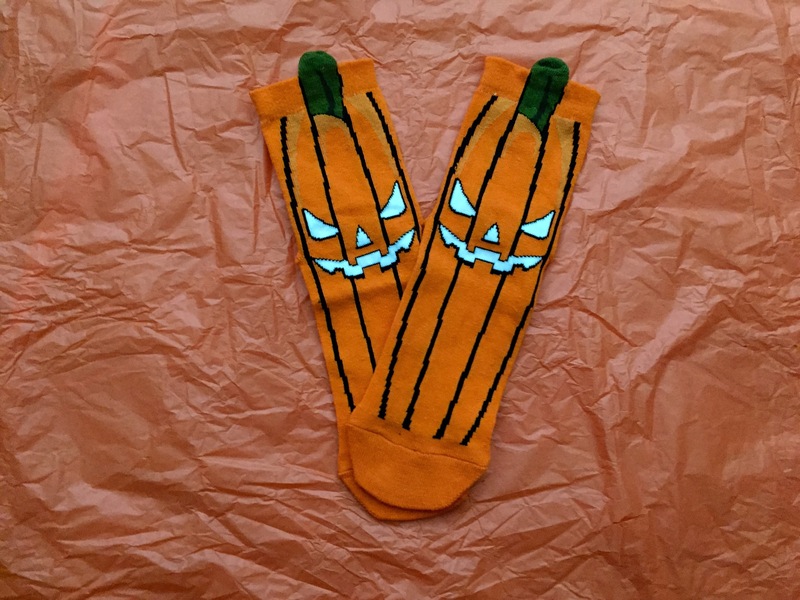 October always means a few things, two of which being Halloween and my birthday, which happen to fall on the same day. 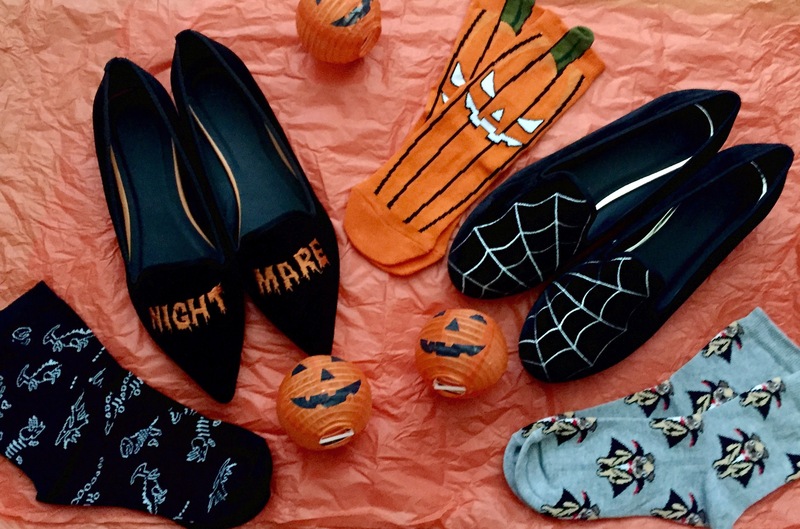 Due to this, I’ve always loved anything and everything orange, black and/or pumpkin related, and I love seeing how brands bring out the big broomstick-shaped guns for the eeriest time of the year. ASOS have outdone themselves on this occasion. 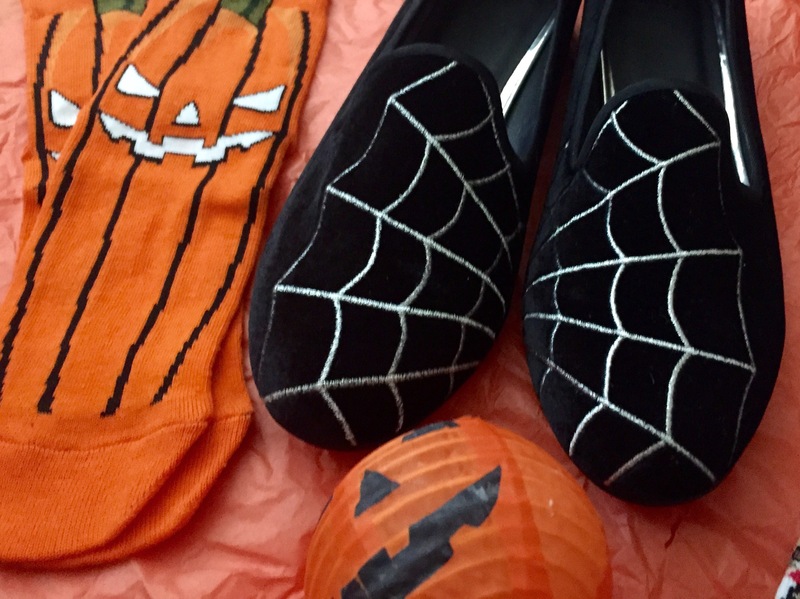 This dedicated section of the website has so many Halloween-themed bits and bibbidi bobbidi boos that you’ll be spoilt for choice. I picked out the following items, and absolutely LOVE them. 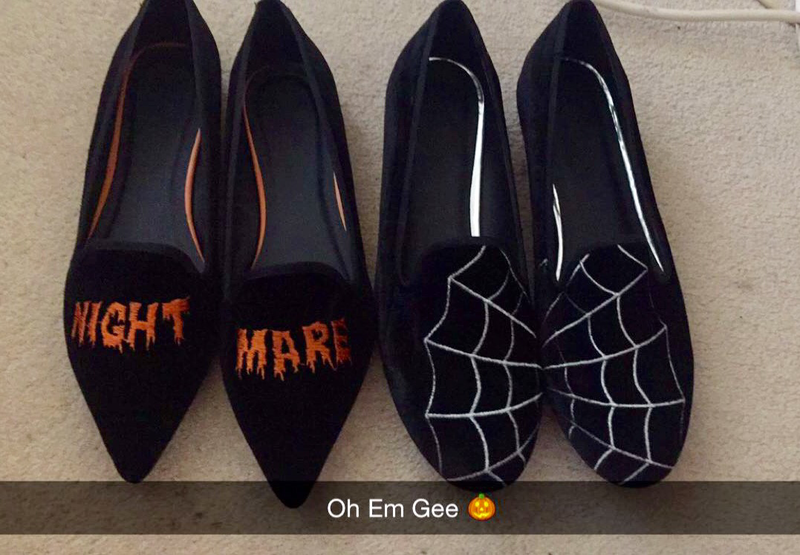 Halloween shoes are new to me, but I loved the style and design of these flats. 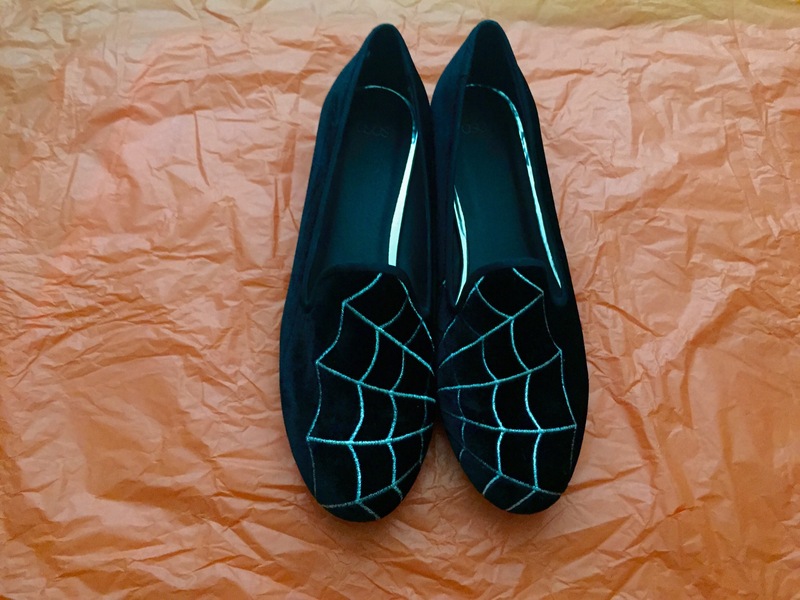 I wasn’t sure about pointed flats to start with, as I already have size 8 feet and didn’t want to walk around looking like I was wearing giant clown shoes. However, I was pleasantly surprised that they didn’t look massive, but actually quite chic. These run true to size but are a touch narrow for me, although with a bit more wear I think they’ll give a little. 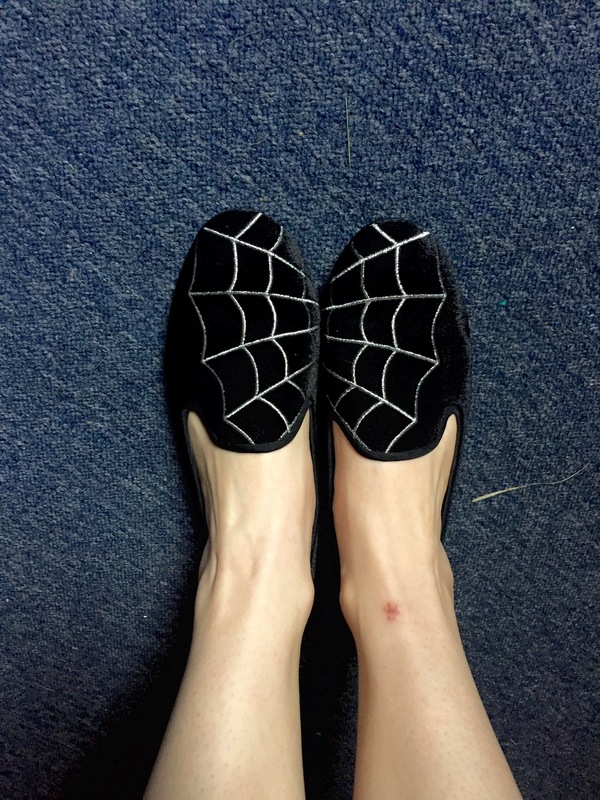 These slipper-style shoes look elegant, too, and I love how the cobwebs are mirrored. They run true to size as well. 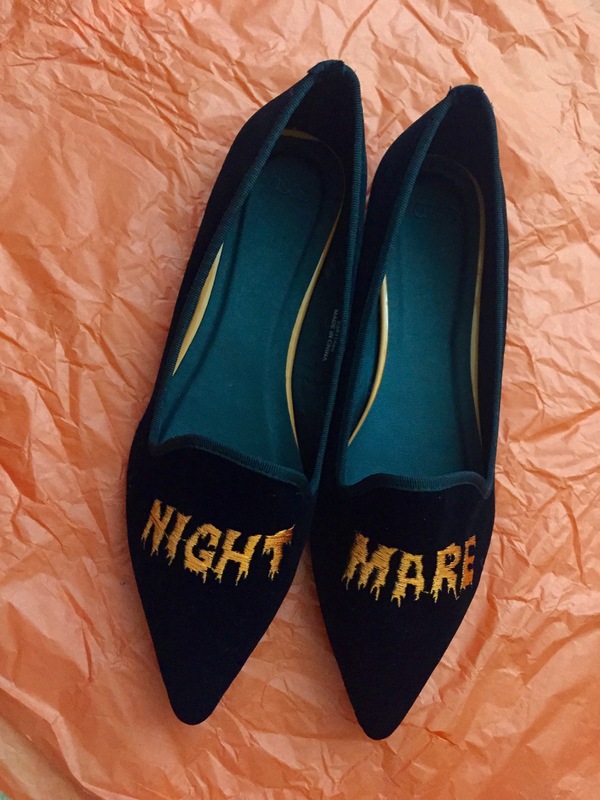 I’ve never had velvet shoes before, but I think I may well be converted. Excuse the shockingly pale legs and cobweb-like scar below. Appropriate though, really. 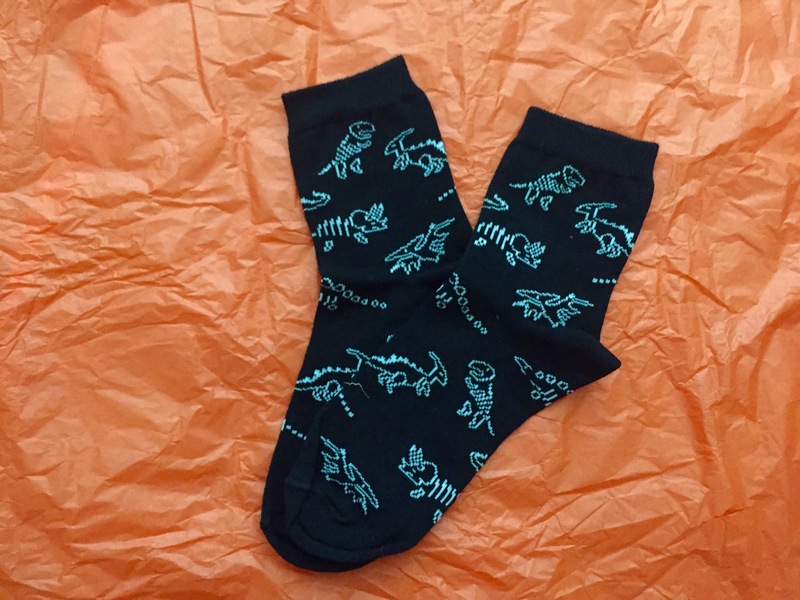 So, onto the socks. I don’t even know where to begin. These are just amazing. 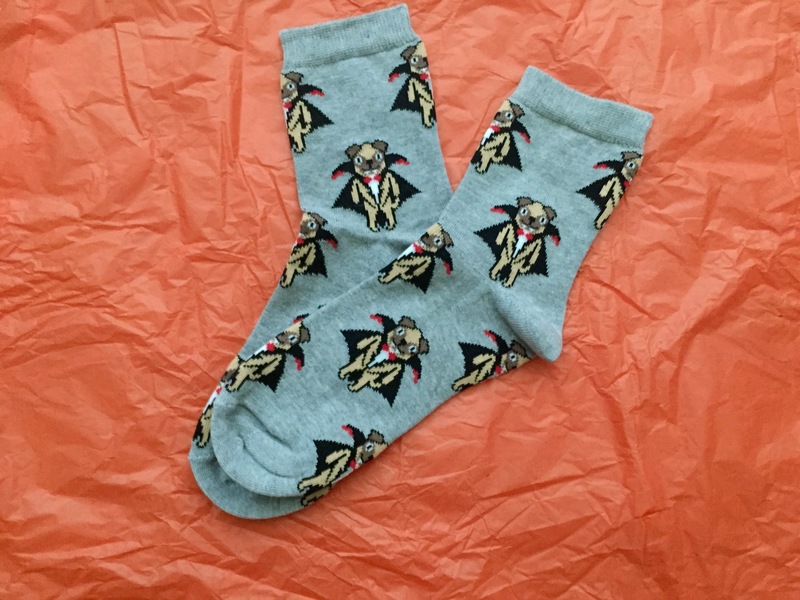 Vampire Pug socks. Need I say more? I didn’t think so. 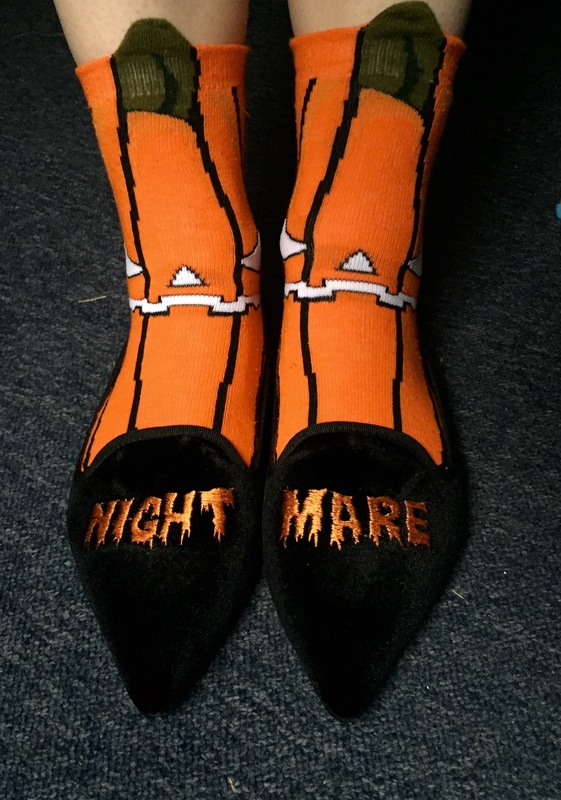 And yes, I will be wearing these all year round. A little more subtle, but Ross from Friends would be proud.